Rather bravely (or foolishly) I've been using Windows 10 on my main daily laptop since the first Technical Preview was released. It's had it's up's and down's and just before Build 9926 was released I was hovering over the F12 key to rebuild it back to Windows 8.1. However I persisted and happily updated to the latest build (9926) and so far, touch wood, it's been much more stable for me, before I was rebooting 4-5 times a day due to crashes and so far I've not rebooted since finishing the installation & patches etc. However, on that note of patches, I did hit a snag. See I've still left my device to be managed via System Center 2012 R2 Configuration Manager (yes, I know it's not "supported") and this also means I let ConfigMgr handle the Windows Update side. I could go and change my policy in ConfigMgr and exclude my device from receiving managed updates, but that means creating collections, and device settings etc etc. 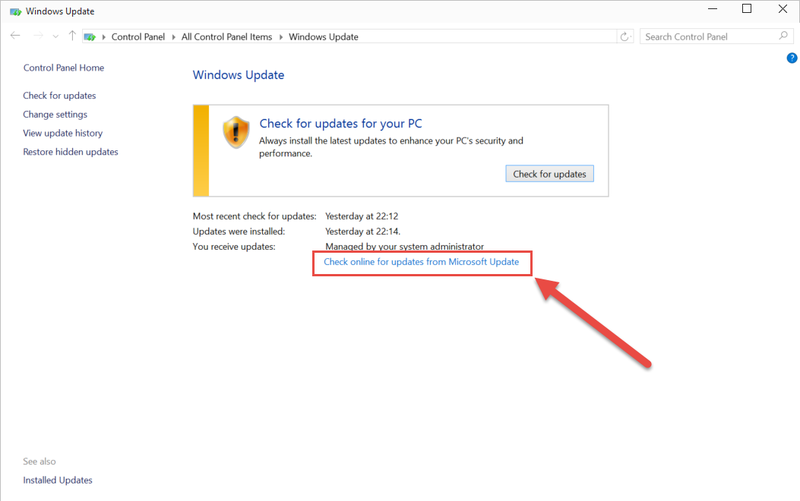 Normally with previous builds I've just been heading to the Control Panel, Opening Windows Updates and clicking the link to bypass administrator managed updates and check directly online. 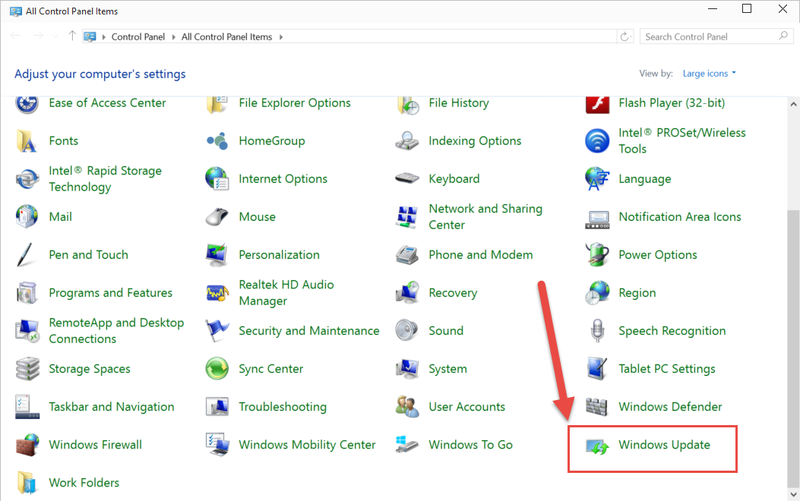 But with Build 9926, imaging my horror when I couldn't find Windows Update in the control panel, only it's new modern equivalent, which doesn't allow you to bypass and go direct. Thankfully, a minor registry edit will bring it back. 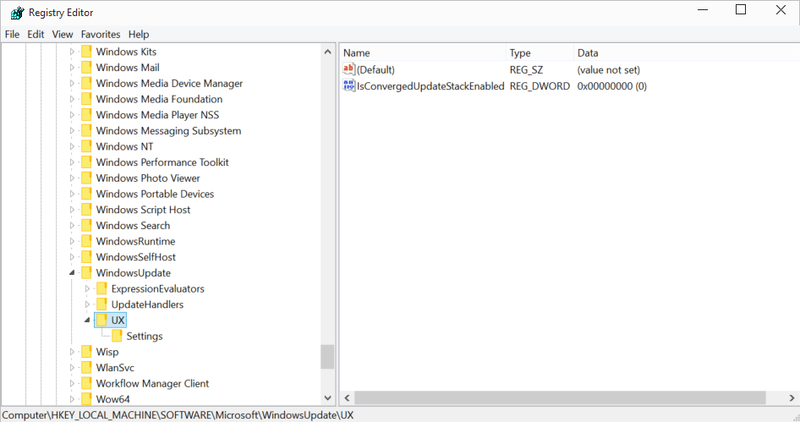 Simply add the following value (IsConvergedUpdateStackEnabled & UxOption) to the key paths shown below, or if they already exist change the value to 0 to enable WSUS back in the control panel. 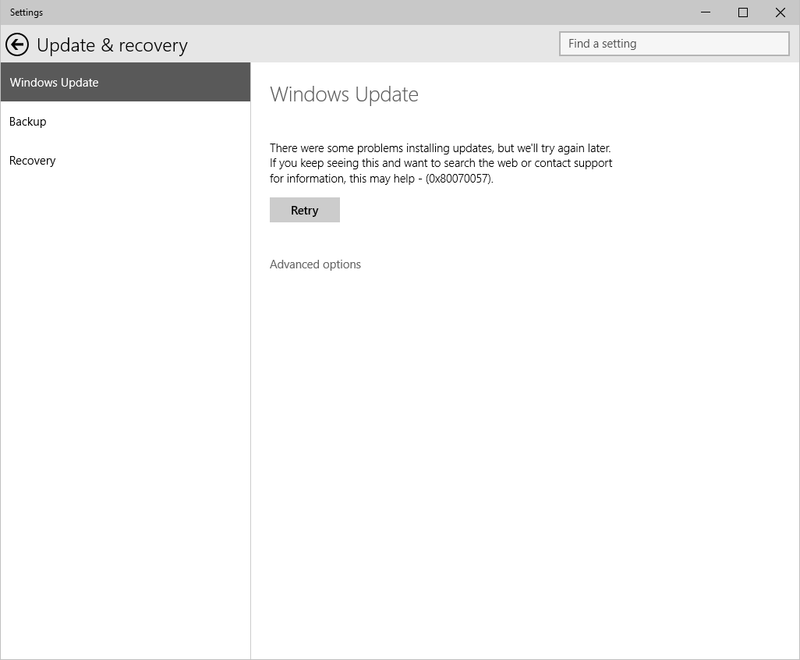 And close and reopen the control panel for Windows Update to reappear! Cool, now I can bypass ConfigMgr/WSUS and go direct again to check for Updates. 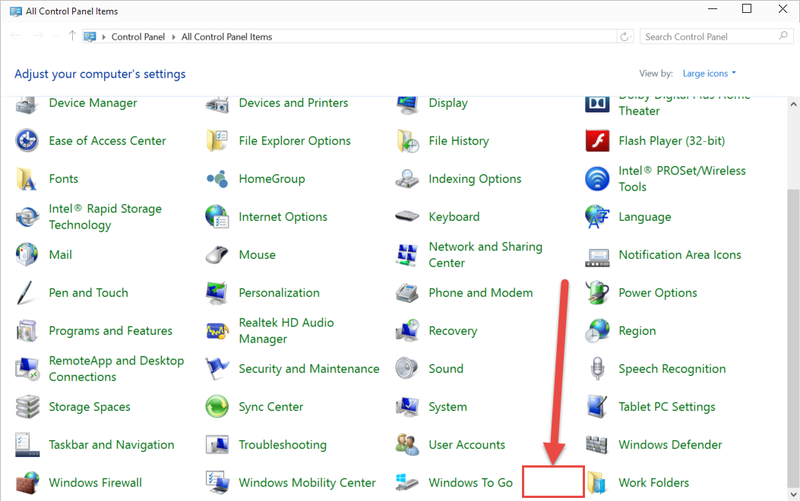 Windows Azure Pack - Where's my disk space gone?